After her marriage, Margaretta Elizabeth Maryon-Wilson was styled as Viscountess Gough of Goojerat on 12 November 1935. From 12 November 1935, her married name became Gough. Sir Spencer Pocklington Maryon Wilson, 11th Bt. was born on 19 July 1859. He was the son of Sir Spencer Maryon-Wilson, 10th Bt. He died on 12 May 1944 at age 84. He gained the title of 11th Baronet Wilson. 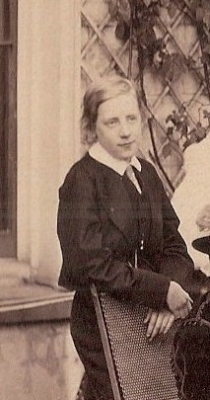 Child of Sir Spencer Pocklington Maryon Wilson, 11th Bt. Her married name became Sturdy. Her married name became Vane.